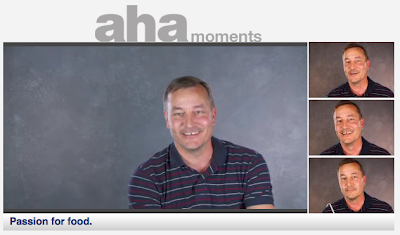 A couple of weeks ago I had the opportunity to participate in my Aha Moment. Other than the normal on camera nerves, this is what came of that moment. 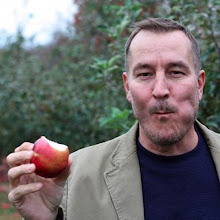 Click my image above to "meet" me and learn more about my passion for food. a charming aha moment, Tim. I also think of food now, in a way I did not before. I think that comes from running my own business now and having a studio on the property right near the garden. I'm actually peering at my fig tree right now, laden with more than a hundred not quite ripe figs. Tarts, jam....thanks for your insight. Jealous of your fig tree Sherry! My grandmother had one and we would pull ripe figs off and bite into them. I still remember that sweet, warm, gooiness. But you know I do not like Fig Newtons!